The King of the Range Pancake Style #KR OWB is made of Kydex with full grain leather back and straps along with brass and stainless steel hardware. 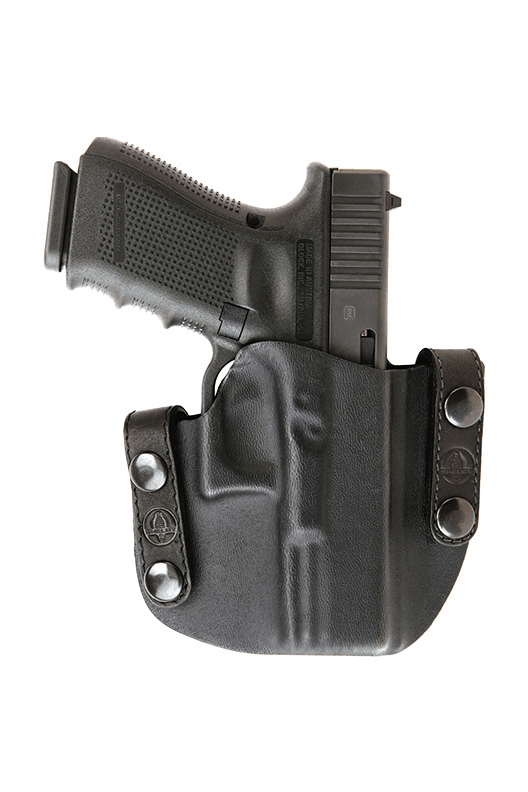 This is an outside of the waistband holster. 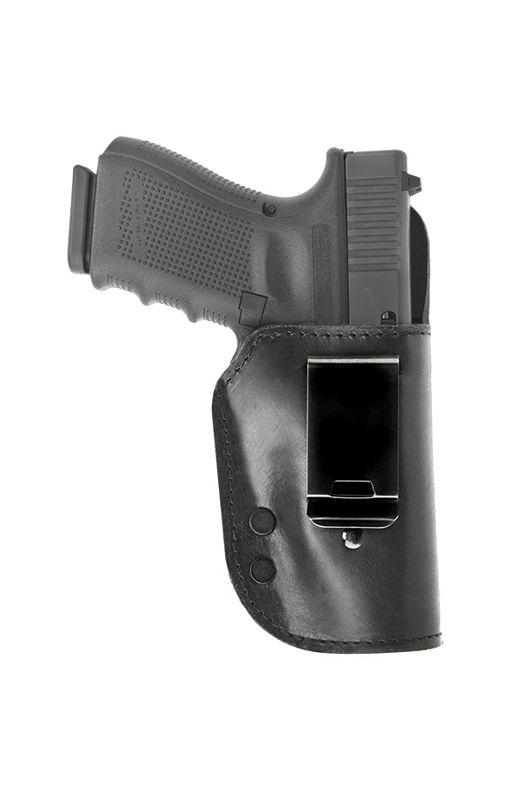 The open Kydex front makes re-holstering fast and easy. The leather straps allow for a greater flexibility of movement. 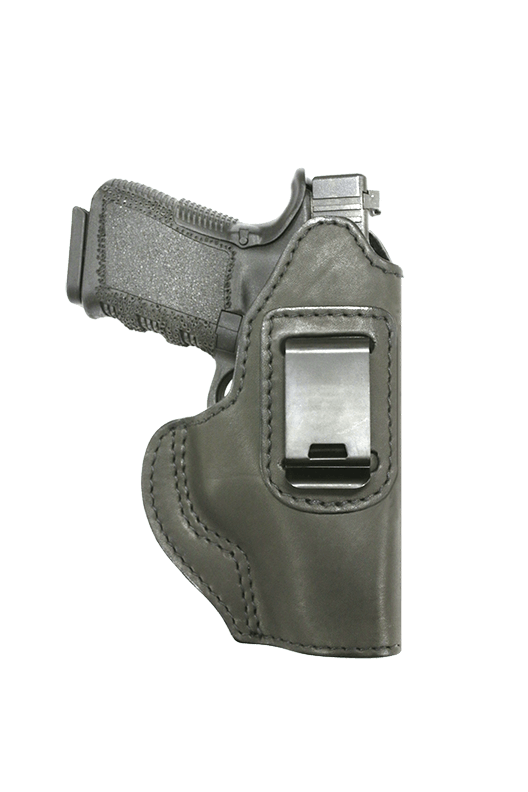 This holster features a high back for comfort and to guard the weapon from perspiration. 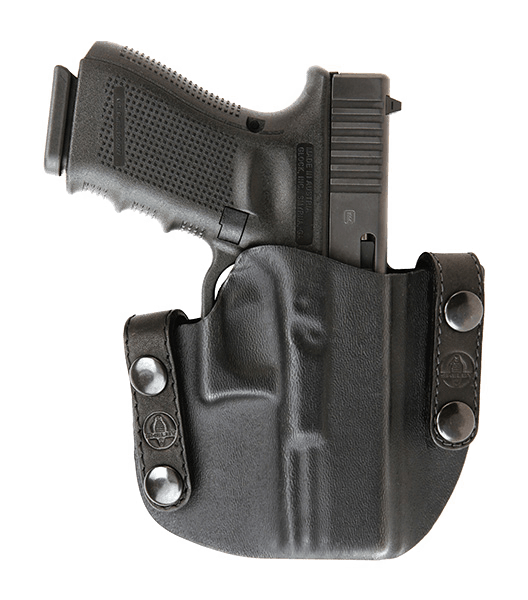 It is also designed for the closest fit for maximum concealability. 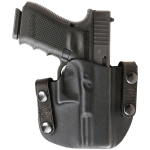 The KR OWB is designed for ultimate grip while also allowing a quick, smooth draw. 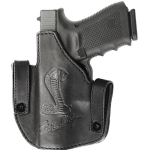 The leather back contributes to this because it helps press the weapon tightly into the kydex front. 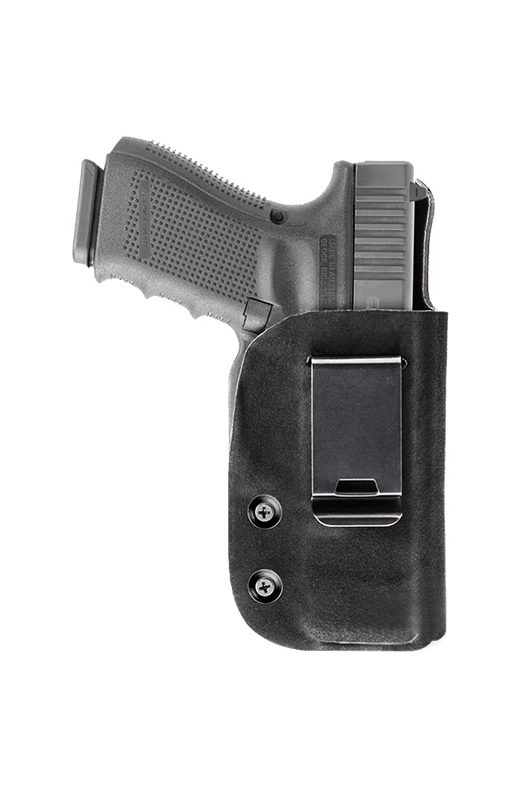 All of our holsters are custom molder for the perfect fit. 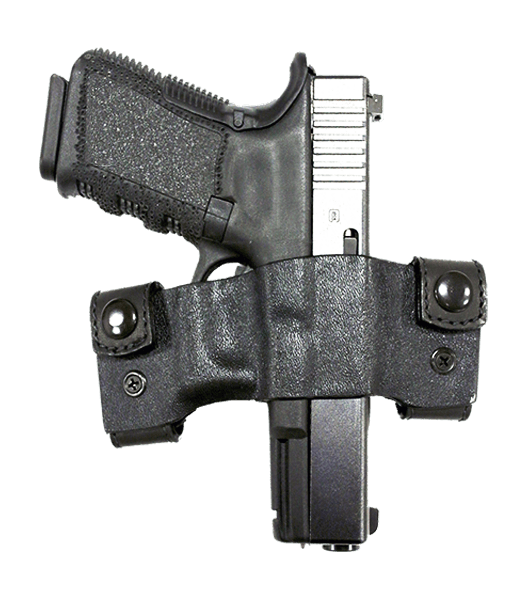 It snaps easily on and off of your belt. 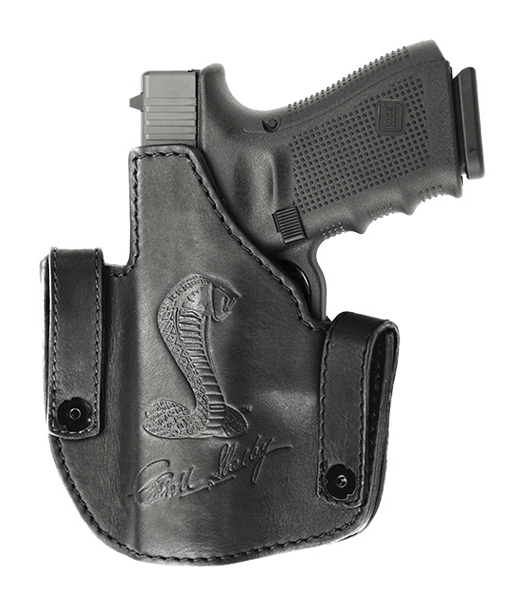 The KR OWB features burnished edges for a polished look along with an embossed Carroll Shelby logo. Available with alcantara lining for the best grip upon request.